There’s nothing quite like coming back after a long day at the office, kicking off your shoes, and sliding over to the bar to pour yourself a dram of whisky. We’ve had many days that have been salvaged thanks to the golden spirit. Just put on your favourite easy-listening playlist, take a swig of whisky, and let everything else just melt away. That’s our idea of a perfect evening. We’re not sure about you, but our stash tends to be varied to cater to changing moods. If you’re looking for new whiskies to try, here are 3 expressions that you can’t go wrong with. Matured for over 12 years, this whisky presents the signature, delicate Auchentoshan taste. On the nose, it has notes of nuttiness with a burst of citrus, while on the tongue you will notice its sweetness with a hint of tangerine and lime. For a 12-year-old, this triple distilled whisky is particularly smooth, so one dram will not be enough. We enjoy this one over some ice, but the Glaswegian distillers also suggest having it in a cocktail. They’ve even come up with some recipes. Check them out here. We love our Islay whiskies, and this expression is one of our favourites. Matured in hand-selected oak casks, the Bowmore 18 is a perfectly balanced whisky. Right away, you’ll detect the classic Bowmore smokiness, but as you breathe in, you’ll also find notes of chocolate and ripe fruit. On the palate, the whisky is delightfully complex, with a light smokiness. We probably needn’t say this, but the Bowmore 18 is best as is. The Auchentoshan Three Wood makes this list for its uniqueness. This expression is a single malt that has been matured in three different cask types. It goes from American Bourbon to Spanish Olorosso Sherry, and finally Pedro Ximenez Sherry casks. This beautiful bronze whisky has a nose with notes of blackcurrant, brown sugar, orange, plum and raisin. On the tongue, this expression is complex, featuring hazelnut with hints of cinnamon and lemon. 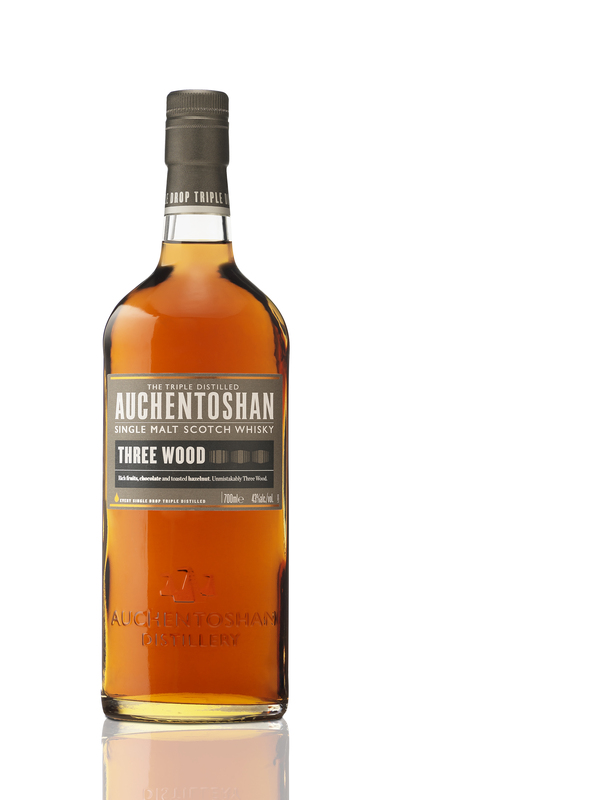 The Auchentoshan Three Wood is a sublime whisky for a cocktail, thanks to the aforementioned complexity. Here’s an interesting recipe for a Clydebank Coupe, a cocktail that accentuates the whisky’s sherry roots.